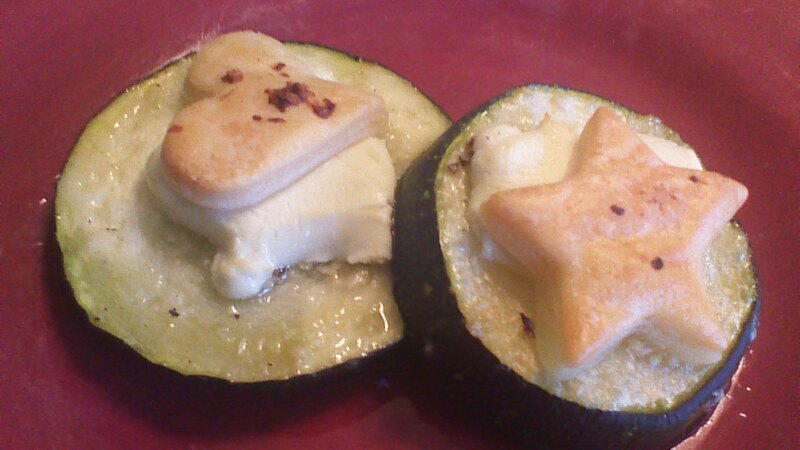 Put the bread pans away, and let’s do something a little different with that last zucchini of the season, shall we? These savory, garlic infused zucchini rounds are topped with just enough flaky pastry to make the textures and flavors POP! Using roll-out, refrigerated pie crust keeps things simple enough to manage on the evening of your next cocktail party, or simply as a midnight snack on your next movie night! Step 1) Grease a large baking sheet and arrange zucchini slices (it’s OK if they’re touching each other). 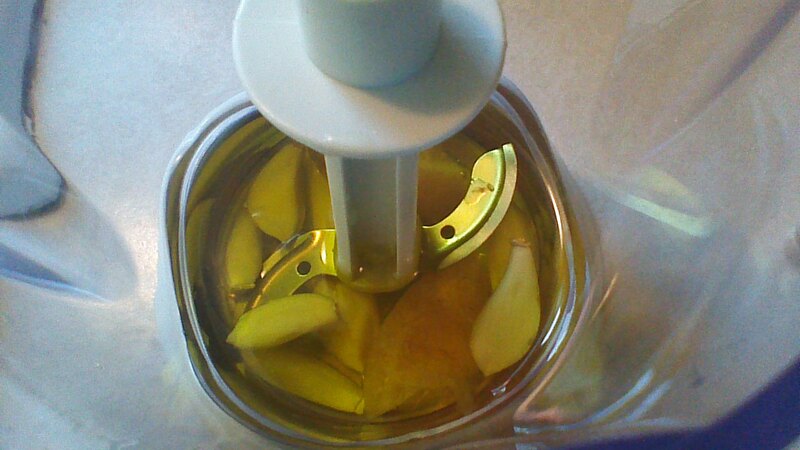 Step 2) Combine olive oil, preserved lemon, and garlic in a small food processor and blend until smooth. Use a pastry brush to generously coat the tops of each zucchini slice. 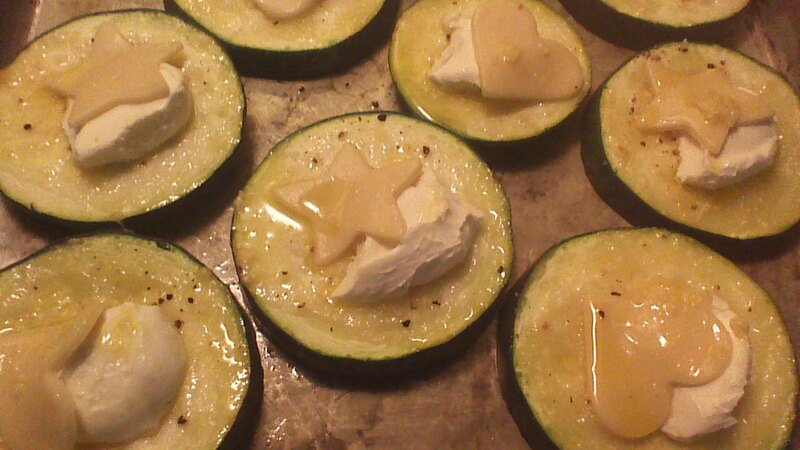 Step 3) Place 1 heaping teaspoon of Chèvre cheese on top of each zucchini slice, slightly off center. 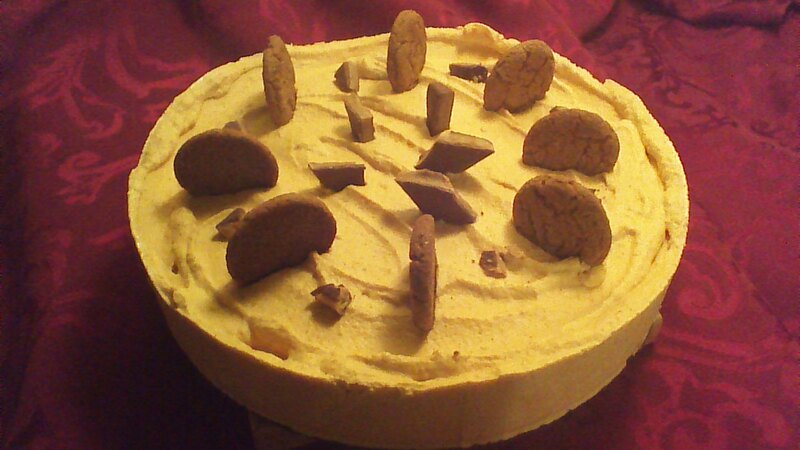 Step 4) Roll out the refrigerated pie crust and cut 16 small (1 – 2 inch diameter) shapes using cookie cutters. Place one shape on each zucchini slice, so that the pastry slightly overlaps the Chèvre. Step 5) Brush the tops of the pastry shapes with any remaining garlic/lemon/oil mixture. Step 6) Bake in a preheated 400 degree oven for 12 – 15 minutes, watching carefully. 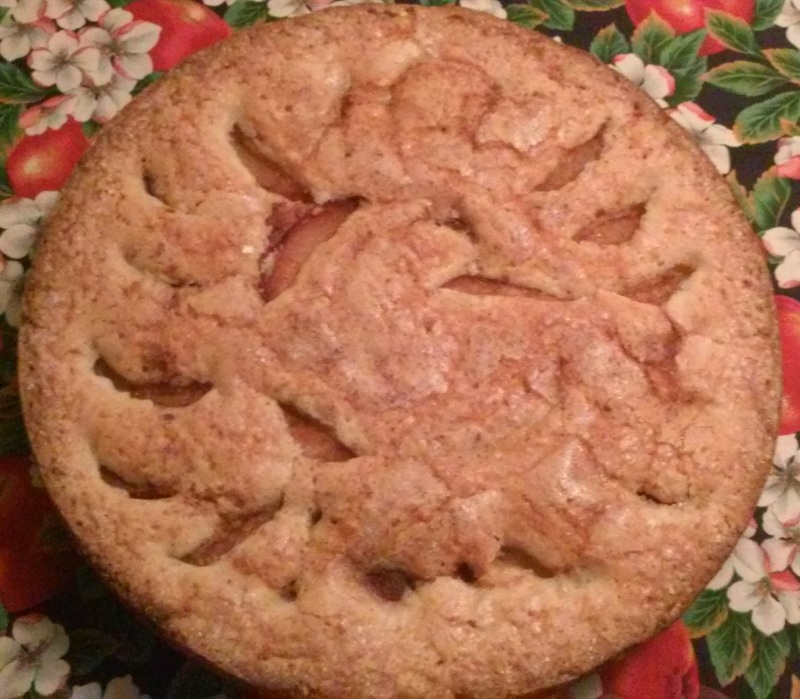 The pastry should be golden brown, but don’t let the edges burn!